Why make cultured dairy products? Because they are wonderful for your digestion! These are natural probiotics that aid in healing your gut and keeping it healthy. It’s much like a drinkable yogurt. We love it in smoothies! What if I don’t like to eat yogurt? Use it in a smoothie. It offers the same nutritional benefit whether you eat it or drink it. Also, you should try using it in this Whole Wheat Yogurt Dough. Homemade Poptarts, anyone? How do you make smoothies? 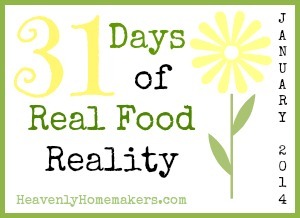 I pour yogurt or kefir into my blender and toss in some fresh spinach or other greens. Once I blend those together, I add frozen fruit. (Strawberries and peaches together is always a hit at our house. We also love these Pineapple Mango Smoothies.) I usually also include a little bit of real maple syrup and a drop of vanilla extract. What if I can’t have dairy? Can I make these with other types of milk? Yep! Not only do these cultures work with cow milk, goat milk, and raw milk – they also work with coconut milk and rice milk. Do you make cultured dairy products? 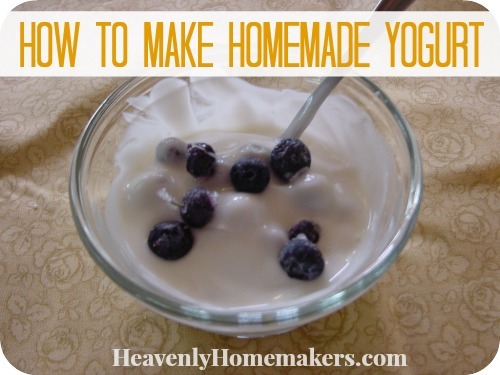 I love yogurt and make smoothies all the time, but I never tried homemade yogurt! Thanks for the inspiration. Homemade yogurt has saved us a TON of money, since my kids love smoothies and yogurt topped with frozen fruit and granola as snacks! I am wondering about the value of baking with yogurt, buttermilk, or other cultured dairy foods. Wouldn’t cooking it destroy the beneficial bacteria? I guess the only value I can see would be that it would lend a more tangy flavor to the baked goods (I use my yogurt instead of buttermilk to make biscuits and it works great). Do you know whether cooking destroys the probiotic value of these foods? I would assume that freezing does not, but not sure about that either. I like to freeze smoothies into homemade molds, too. Much better for colds and flu (sore throats) than sugar-filled pops from the grocery! Laura, I was looking at the buttermilk/sour cream culture on Cultures For Health. 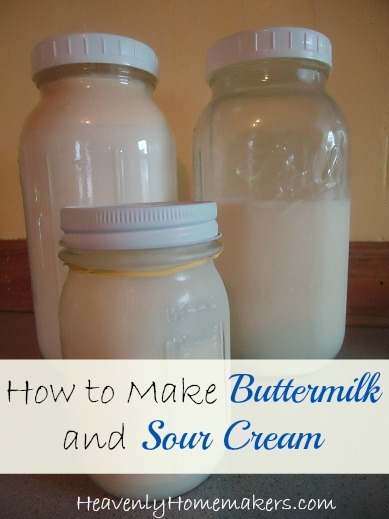 If I’m reading right, it looks like you can use buttermilk, yogurt, or milk kefir for a starter culture to make sour cream, just by adding a Tbsp or two to the cream. Have you ever tried this with kefir? I make milk kefir regularly and recently started making a sourdough starter with it. 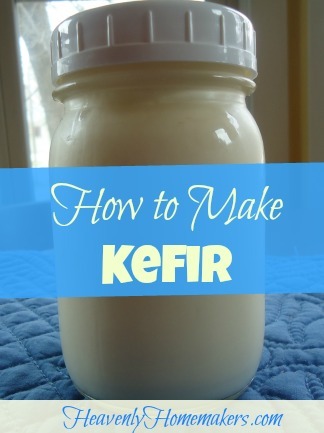 I’m curious if I can really make sour cream using the kefir as a starter??? Thanks for your hep! I’ve never tried that with kefir, just with buttermilk. It does make sense that it would work!